Hello. I am Amrit Barat. 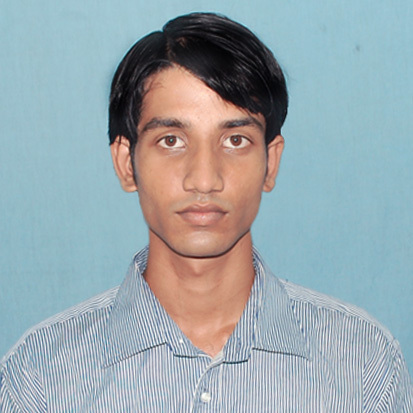 I am from Kolkata, India. I am 22 yrs old. I’ve just been diagnosed with AS in April,2012. Everyday when I wake up in the morning I feel that I am not well. A stiffness and a pain always stay with me. I am trying to fight against the pain. But unfortunately most of the people does not understand that how much pain we have in our body. I only feel bad for my parents and for my girlfriend.. I told her to leave me, bcoz someday this pain will kill me. but she does want to understand that. She loved me too much and I also love her. But I know we cant spend our life together for this pain. And also feel bad for my parents they feel bad when they see me into a lot of pain. This disease is worse than all the other life killing disease.. In the case of other disease may be you will be cured with medicine or you will die… But in the case of AS you will surely die but with a lot of pain in your whole life.. It will killing the patient continuously day by day.. Lord Buddha said “Pain is the outcome of our sin.” But I don’t think we didn’t did that much bad work that we deserve that much pain.. Trying to fighting against AS everyday.. So we all who have AS are the WORLD STRONGEST PERSON IN THIS WORLD.. AND SOMEDAY WE WILL WIN AGAINST IT..
Hope the future becomes brighter for you. Thank you eve.. I really don’t want puss them away those who close to me.. But the problem is that I don’t want to make them sad for my disease.. Because I really care about them.. I can tolerate my pain until my last breath but I can’t tolerate that someone is felling so much sad because of me… Sorry but that is the fact about me… And thank you for you support.. I also hope the future becomes brighter for you..
Hiii my name is Asif Arshad I am 22 years old only .. I have diagnosed ankylosing spondylitis 2 months back .. I just want to know how many people have problem in their stomach also .. So plzzz share ur exeperianceexeperiance guys..
Amrit: The best medications that have helped me so far is methotrexate injections, as well as Mobic for inflammation. Good luck, my friend. Let me know if you have other questions, and bless you! Amrit, You need to get some help with the pain, it is consuming, but get some medical care and get on some meds to help with the inflamation at least you will be able to funtion daily. The mornings are always the worst the most of us, stretch and walk if you can. I pray you find some relief. Thank you for your story. I relate – telling those I care about to leave me because I know I can not be the person I want to be for them. We (those with AS) are the strongest people in the worlds! My heart goes out to you Amrit….Eve and Stephanie are right, keep those you love, close by. Once you get your pain under control you will be able to live a relatively normal life. You need to find a caring team of medical professionals. You may need to search for a bit but they are there. And remember, let those that love you in…..that is very important. This disease is lonely enough as it is! Thank you so much for sharing your story with us. I hope that you find the peace within, to know one day this was not your fault in any way and that you deserve to be loved and to love. Thank you Amrit, it is my honor and pleasure.